Uttarakhand Group C VDO Exam 2014 Answer Key and Cut Offs Details:- As we know that the Uttarakhand Group C or Samuh G VDO (Village Development Officer) Recruitment Examination was held on 7th December in this year and after that all the candidates are waiting for their Answer Key of the Recruitment Examination. The Exams was held for recruitment of 2367 Various Posts of the VDO for Uttarakhand state. And there are many of the candidates are enrolled and gave written examination for this. So today here we are telling you about the Answer Key and Cut Off Marks details of the Group C VDO Examination 2014. HNB Garhwal University BA, B.Com, B.Sc Back Paper Results 2014:- The Hemwati Nandan Bahuguna Garhwal University is also known as HNBGU. It is located in the Srinagar Garhwal in the Pauri District of the Uttarakhand state. 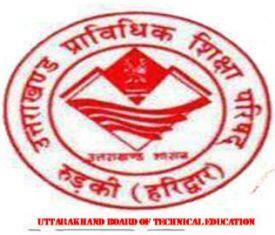 The HNB Garhwal University is one of the main University of the Uttarakhand state. It offers various Degree, Diploma and certificate courses to students and every year many of the students are studied from this university. Shri Badrinath Dham Ji Closing Date 2014:- The Badrinath Dham is one of the most sacred and Holy Places of the Hindu Religion. The Temple of Shri Badrinath Ji is situated in the Chamoli Garhwal District of the Uttarakhand state. 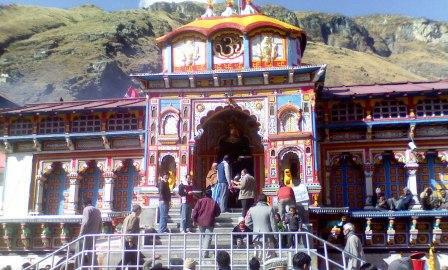 Every year many of devotees are come to visit the Shri Badrinath Ji Temple. So today here we are telling you about the Closing Date of the Shri Badrinath Dham. 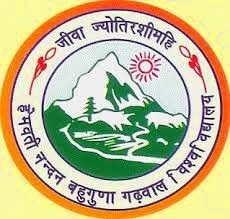 Sridev Suman University Back Paper Exams 2014 Notification:- Sridev Suman University Uttarakhand has recently notified about the Back Paper of Improvement Examination for various Undergraduate and Postgraduate Courses 2014. Those students who are not satisfied with their marks and want to improve their marks on various courses examination 2014 can apply for Back Paper 2014. The Back Paper Examination will be starting from 11th Nov 2014. And the University said that the Results of the Back Paper Examination will be declaring Upto 20th Dec 2014. Sridev Suman University MA Hindi & Sanskrit 1st, 2nd Year Results 2014:- The Sridev Suman University is the newly university of the Uttarakhand state. It was established in the year 2012 and it is located in the Badshahithol Tehri Garhwal Uttarakhand. Now it becomes an important university of the state because many of colleges in the states are affiliated to the Sridev Suman University. And every year many of students enroll in this university for their studies. Kumaon University Nainital MA Education Previous Results 2014:- The Kumaon University is one of the leading universities of Uttarakhand state of India. It is located in the Nainital the Lake city of India. The Kumaon University offers various Degree, Diploma and Certificate courses to students. And every year many of students enroll in this university for their courses and studies. Sridev Suman University MA Mathematics & Political Science 1st Year Private Result 2014:- The Sridev Suman University is one of the famous Universities of the Uttarakhand State of the India. It is located in the Badshahithol Tehri Garhwal Uttarakhand. It is a newly University of the state and established in the year 2012 but it now become one of the important University of the Uttarakhand. And it offers various courses to students, so every year many of students studied from this University. Sridev Suman University BA 2nd Year Private Results 2014:- The Sridev Suman University is one of the leading universities of the Uttarakhand state. It is located in the Badshahithol Tehri Garhwal Uttarakhand and was established in the year 2012. There are many of colleges in the Uttarakhand are affiliated to the Sridev Suman University. The University provides various undergraduate and Post graduate courses to students and every year many students enroll in this University for their courses and studies. Sridev Suman University B.Com 2nd Year Private Exam Result 2014:- The Sridev Suman University Uttarakhand has recently declared the result of the B.Com (Bachelor of Commerce) 2nd Year Examination 2014. The examination was held earlier in this year and after that all the students were waiting for their result. And we can say that the Sridev Suman University all examination results are much awaited results for everyone. So now all the students who appeared in the B.Com 2nd Year Private Examination 2014 can easily check their result online. Sridev Suman University BA 1st Year Results 2014:- Hello everyone, now the much awaited result of the BA 1st Year of the Sridev Suman University Uttarakhand has declared today. And now all the students who appeared in the Sridev Suman University BA 1st Year Examination 2014 can easily check their result online. As we know that the BA Examination of the Sridev Suman University was held earlier in this year and after that all the students were waiting for its result.